Given this column’s theme of the coordinated campus and educational implications for the GIS professional community, it seems fitting to ask: If you went to a postsecondary school, did you take a course in GIS? For more people than ever before, the answer is “yes.” GIS has long been a part of institutions of higher education, all across the world. This situation is different from what I wrote about in my last column that focused on primary and secondary education: While much progress has been made with the advent of STEM education and the web GIS paradigm in schools, GIS is still not taught to a large extent in most primary and secondary classrooms. But as I described, there is great hope for the future. In higher education, however, GIS is firmly embedded. During the 1980s, GIS grew from its roots in computer cartography courses to become an important part of most degree programs offered by geography departments. From there it spread to other natural and social and applied sciences, including environmental studies, natural resources, and planning. During the 1990s, GIScience programs also emerged, thanks in large part to the National Center for Geographic Information and Analysis. From these beginnings, GIS spread during the decade of the 2000s to nearly all top-tier research universities around the world as well as to nearly all teaching-focused universities. It also took hold in many tribal, community, junior, and technical colleges, thanks in part to efforts from the GeoTech Center. As evidence of this advancement, examine where GIS is taught in universities and colleges in the USA by visiting the national programs locator map and database online via geotechcenter.org. GIS became offered under such names as geomatics, geotechnology, spatial technology, but regardless of how it was named and marketed, it was so successfully diffused that a course or program exists at virtually every major university and college, and many smaller ones as well. In some universities, GIS has become a key part of the professional studies programs, such as at the University of Maryland and at Northeastern University, often targeted specifically to non-traditional, mid-career learners, those already working full-time who wish to augment their GIS skills or change their career to be more focused on GIS. Over those years through today, GIS has been used in three main ways in higher education. As an approach to be studied in its own right. This takes shape in a variety of ways, as a body of content, as a toolset, or as an approach, and typically in all three ways. This occurs as part of a GIS or GIScience program, as a part of a social or natural science program, or, as in the case of many community and technical colleges, as key workforce skills that can be applied to solve problems. As a set of methodologies that researchers use in their own investigations. In the past, researchers would typically go to a GIS expert on campus to accomplish the bulk of this work, but as GIS has become more accessible and easier to use, researchers began to do the work themselves, applying GIS tools to archaeology, climatology, and other fields from A to Z across a campus. As an administrative tool to manage campus facilities (from trees to light poles to fiber optic cable, the electrical grid, and water systems), to ensure the efficiency and safety of those campuses, and to build resilience. I have visited hundreds of universities over the past few decades, including 25 in 2018 alone, and can attest to the rigor of these programs, dedicated faculty, and innovative projects from students. In one program, the geography department at the University of North Alabama, over 100 people attend the annual geography department alumni conference. Many of the alums hold key GIS positions, and one, for example, started his own GIS company (alum Neill Jobe, who started Geo-Jobe). Despite these continued developments, though, recently GIS in higher education has been changing in even more significant ways. One way is broader, and another is deeper. “Broader” here refers to a more inclusive reach across a campus—the influence that GIS is having in departments and programs that previously did nothing or very little with GIS. These include business, health, engineering, mathematics, history, language arts, and economics. For example, about two years ago I began working with New York University’s Conflict and Peace Studies program as their journey into geospatial technology began with web mapping applications such as storymaps. The emergence of several programs over the past decade in geodesign brings together GIS, landscape architecture, design, computer science, and geography in innovative ways. As data science degrees are now being offered, geotechnologies and the spatial perspective are being viewed as components that must be included in these emerging programs. Could this broader reach represent the fourth major way in which GIS is used in higher education? I believe so, and it’s in part due to the evolution of web GIS, which puts data sets and tools more easily in the hands of professors and students in these other disciplines. Instructors in these nontraditional GIS-using programs are primarily interested in using GIS as a tool to teach core content. For example, in business colleges, instructors are beginning to use GIS to teach concepts and skills in target marketing, supply chain management, and analyzing consumer preferences. In health, GIS is being used in such areas as epidemiological studies and in siting clinics and managing programs. Civil engineering and architecture are beginning to work more closely with GIS faculty and tools, in part fueled by recent collaborative efforts between the GIS and the CAD and BIM communities. 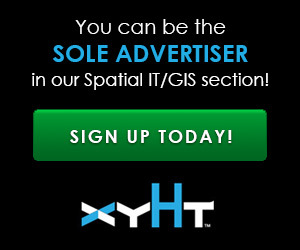 It is important to note that as GIS spreads, it might be marketed and promoted as location analytics (in business), or health informatics (in health), and so on, but at their heart is examining the whys of where. Another way GIS is changing in higher education is extending deeper. GIS is not simply about learning how to buffer or project spatial data or learning a set of GIS tasks and workflows. Rather, GIS education is beginning to embrace mobile and web technologies. Students build apps; they collect data in the field, map it, and analyze it; they perform analysis; they do some coding; they create multimedia presentations; they give those presentations to their peers and professors. They publish maps and services while they are still students, which they can then showcase on their résumés (and their résumés can even take the form of a story map). As universities embrace the full platform that GIS has become, they model the enterprise approach. As my colleague Dr. Michael Gould stated in GeoConnexion magazine (2016), “This is certainly not to claim that desktop GIS is irrelevant, only to underscore its specific role as a specialized node in the wider enterprise constellation. Many top universities around the world now have access to mobile, server and online GIS software, and are moving beyond basic desktop GIS and innovating in the enterprise GIS space. As workplaces increasingly value GIS and spatial data as an enterprise asset that needs to be supported throughout the entire organization, universities also need to cultivate the systems administrators and managers who will need to run those enterprise systems. Indeed, some universities, such as those in the Esri Development Center (EDC) program (DiBiase 2014), are moving the very frontiers of GIS forward. EDCs include programs that help students advance and extend Esri’s core software and provide training in system integration and application development within a particular domain. Clemson Mappers at Clemson University is a student-led group affiliated with YouthMappers collaborative relief efforts, which builds maps that address local community issues and communicate stories about local historical and ecological events. Clemson has also developed a 2D and 3D campus basemap. The University of Redlands is a leader in expanding GIS into the business world through its Center for Spatial Business. West Chester University launched a planning studio that works with the GIS and spatial analysis facility. Georgia Institute of Technology’s Center for GIS and the Strategic Energy Institute in Atlanta developed The Georgia Coastal and Marine Planner, a data catalogue feeding specialized apps on coastal planning, shipping, and energy. The University of Minnesota’s U-Spatial program supports research on campus by providing geospatial technology support and expertise. Michigan State University’s RS-GIS program performs services for people and initiatives throughout the university who become their “clients” and from whom faculty and students working in the program get practical real-world experience. Claremont Graduate University researchers created a deep-learning model for the automatic early detection, identification, and mapping of cassava diseases using high-resolution multispectral aerial imagery. Texas A&M University students developed a university campus map reflecting ADA compliance (routing and entrances). In the community college system, Front Range Community College in Colorado offers over 20 GIS-focused courses in its set of degrees and led the way in developing a thriving GIS certificate program. GIS is being approached in higher education in increasingly diverse and creative ways. All of these ways have several things in common: When students use GIS in higher education, they are gaining far more than simply learning how to use GIS. They learn other tech skills as well, such as learning about systems and how to build apps. They gain skills such as those in oral and written communication and they understand such issues as crowdsourcing, data quality, copyright, and permissions. They learn how to work with data and how to critically evaluate it. They learn problem solving, gain perspective through collaboration, and understand the value of building partnerships and developing their own professional network. At the same time, they learn content knowledge through their GIS-based projects, whether it is about agriculture, city planning, biodiversity, energy, water resources, natural hazards, engineering, design, or some other domain expertise. Finally, they gain the geographic perspective—considering both time and space. In essence, they begin to grapple with the “what’s where,“ “why is it there,“ and “why should we care“ questions—using maps no longer as simply reference documents, but as tools for analysis, planning, and understanding. Even if those students do not go into full-time GIS careers, after using GIS in higher education they (in my judgment) will be well equipped to be the decision makers and leaders who will shape a healthier, brighter, and more sustainable future. Links to examples and references are in the online version of this article at xyHt.com. Yes, this is part of a series of articles devoted to the topic of GIS in education and society! Warren – Thanks for responding! Absolutely agree with you about libraries. In the past 2 years on my campus visits, I have increasingly been seeing more and more and meeting with more and more geospatial librarians. These folks are information professionals and are a natural fit for data science and GIS. And increasingly are the torch-bearers of GIS on their campuses. And they serve the whole campus, breaking down departmental barriers.